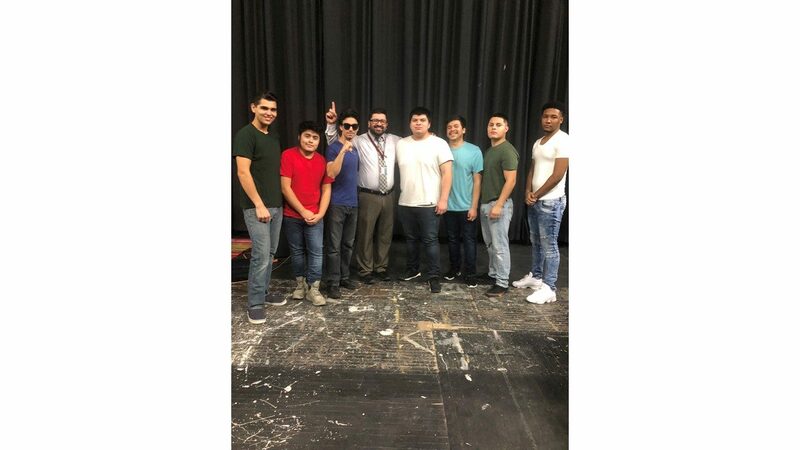 Principal Gamboa stands with the contestants to this year's Mr. Morton East. Contestants include (left to right) Gavin Salas, Angel Mendez, Luis Ballesteros Ricardo Salgado, Irving Recillas, Eddie Arias, and Iberus Jenkins. Morton East is trying out something new this year and has chosen guys from all 3 years to compete for the title of Mr. East. 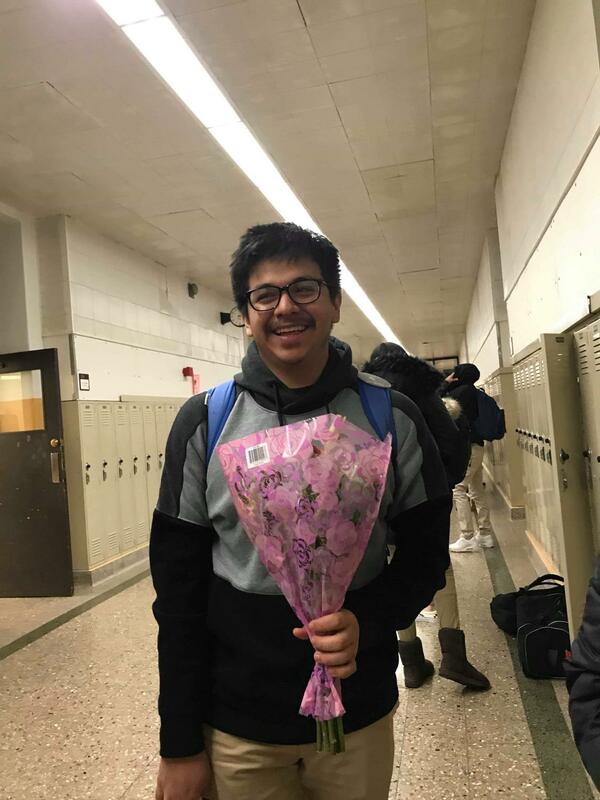 Irving Recillas holding a bouquet of flowers. The nominees for Mr. East had a mandatory meeting on the 16th of this month. In this meeting, the nominees were given a presentation of the requirements and events they were going to have. On January 31st they will be holding a performance of all the 10 Morton East nominees. This event will be a community event. The nominees will be responsible for representing MEHS and their families. It will be on the same exact day of the performance that a Mr. Morton will be chosen and will be awarded. The prize winner must be in good academic/behavior standing at the time of Prom, Senior Breakfast, and Six Flags to redeem the prize. In a random survey of 100 Morton East students, only 23 of them knew what Mr. Morton East was. “Yes, I have but I don’t quite understand what it is about,” senior Juliana Rodriguez said. Due to Mr. East being a new thing this year, a lot of people are not aware of it but quite a few people know about Mr. East because their friends are in it. “The only reason why I know about Mr. East is because my close friend is one of the nominees,” senior Christian Lopez said. “I was nominated by my English teachers Ms. Orozco and Mr. Sujak. Right now, we haven’t really done anything. It’ll be time-consuming, but I’ll make sure I can do everything,” nominee Irving Recillas said. is good idea that this year they are doing Mr. Morton East Because theguys can get they time to shine just like the girls get theirs in the hubby parede. so the guys have a chance to show there talents. is good idea that this year they are doing Mr. Morton East Because the guys can get they time to shine just like the girls get theirs in the hubby parede. so the guys have a chance to show there talents.